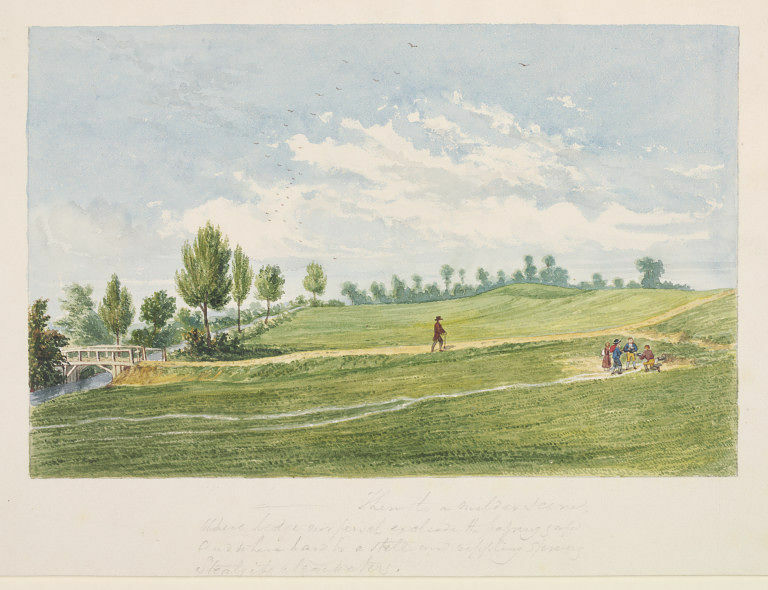 Water colour sketch of a view at Hackney, depicting the Downs, with a bridge at the far left, a man walking along a path and some children playing in the foreground right. In pencil below. 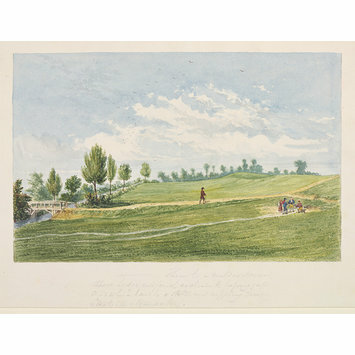 This is an extract from William Fox's poem 'La Bagatella', published in 1801.